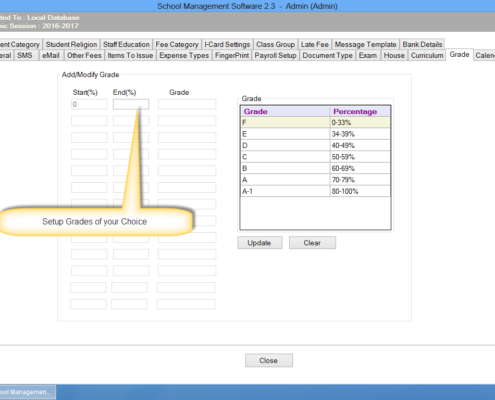 Maintain your school’s integrity and help build a better institution by using our school management software. 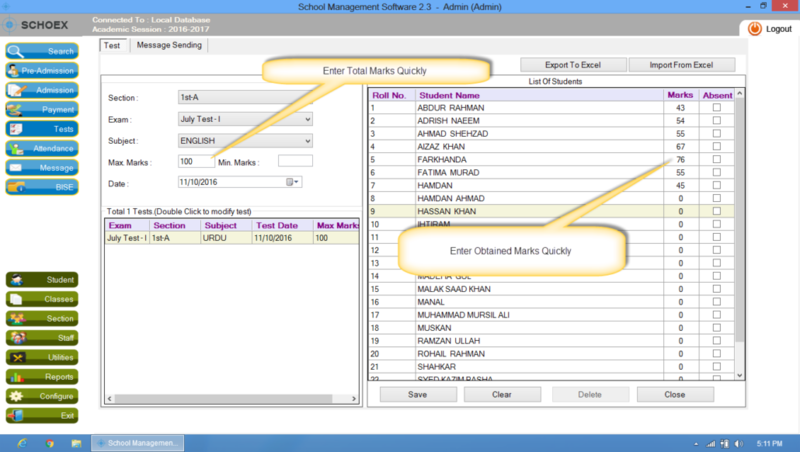 The school management system that we offer will provide you with a fair and accurate appraisal and evaluation system for student to make the examination process much easier and faster. 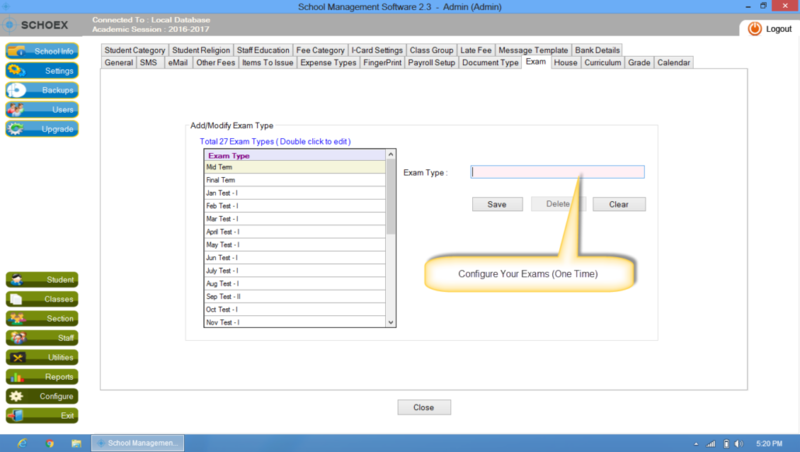 Schoex provides School Examination Software that offers you an automated method for developing exams and evaluating your students’ exam results. 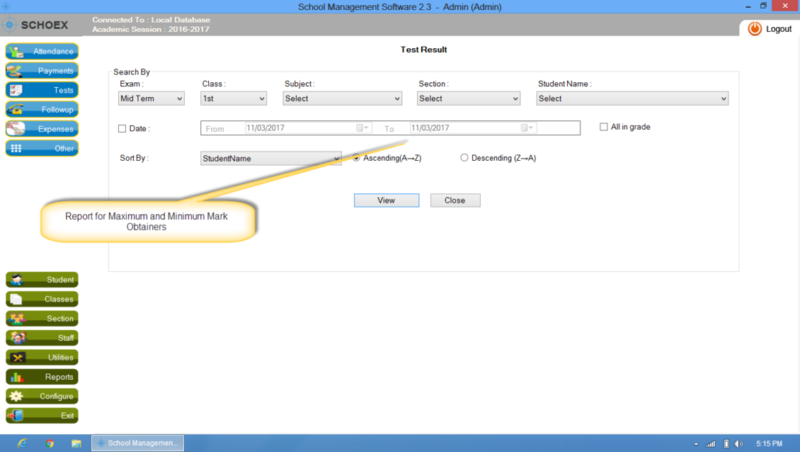 Eliminate the headaches and stress associated with exams by allowing us to do all of the work for you. 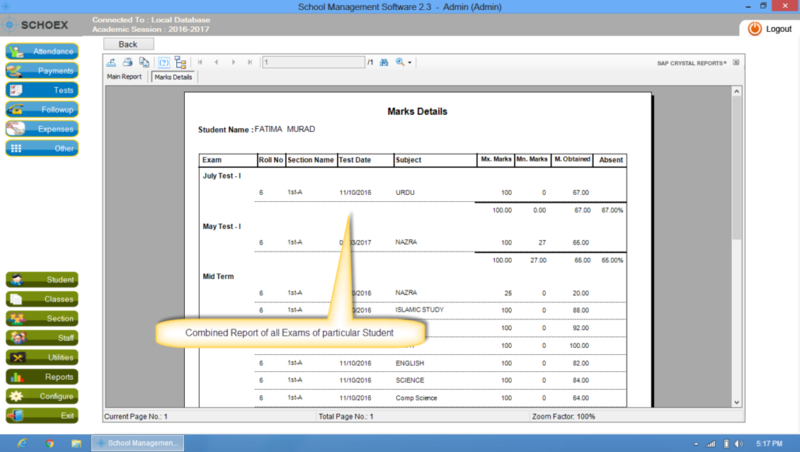 That frees you up to concentrate on more important things. 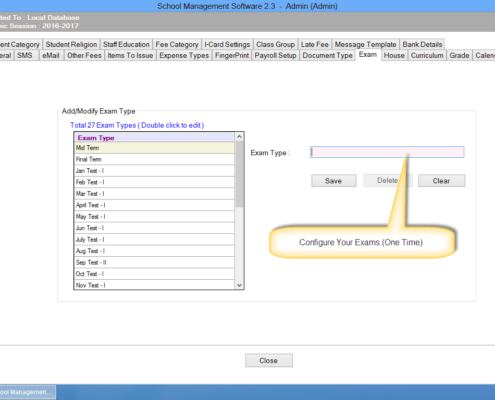 You won’t have to worry any longer about scheduling, planning or problems being generated with your exam whenever you decide to use Schoex. 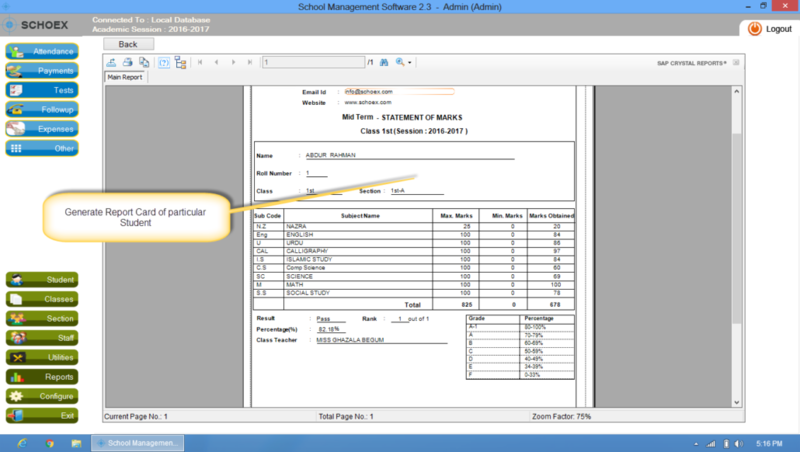 We work hard to ensure that everything will run as smoothly as possible for you. 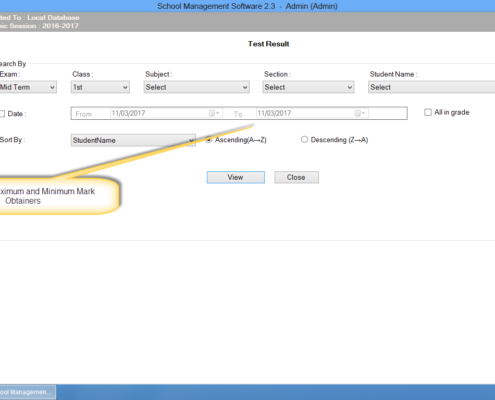 It is also possible to select a certain subject that you want to grade, select terms for your marks and utilize the built-in calculating feature to help simply your exam processes. 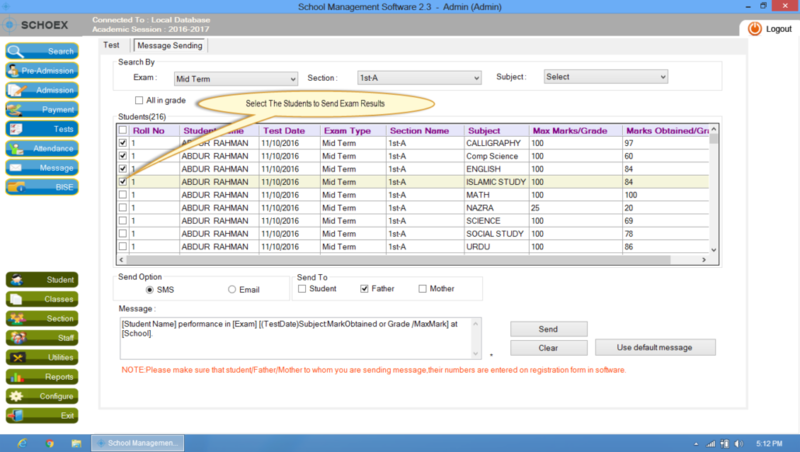 To make examination procession fast schoex support Importing results from excel file. 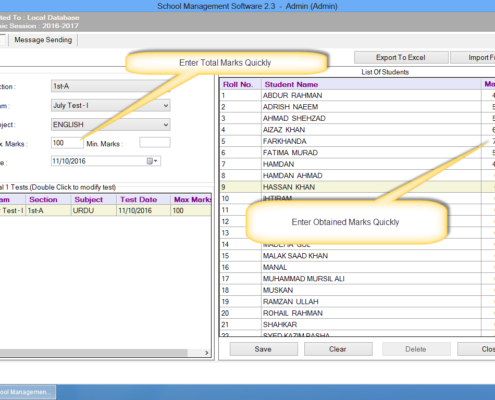 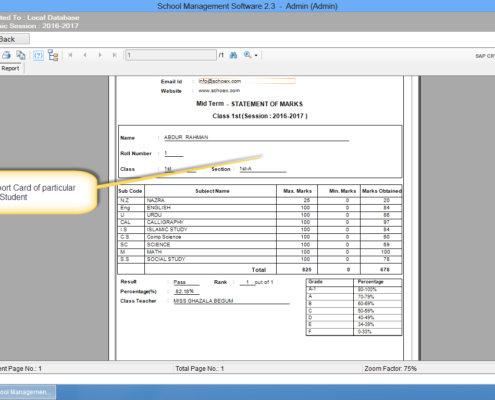 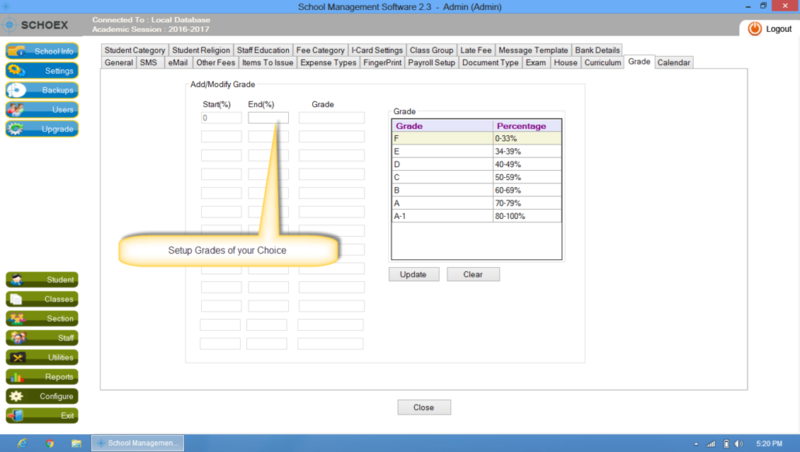 Grading system is fully customizable, configure your own grades in the system to get effective results. 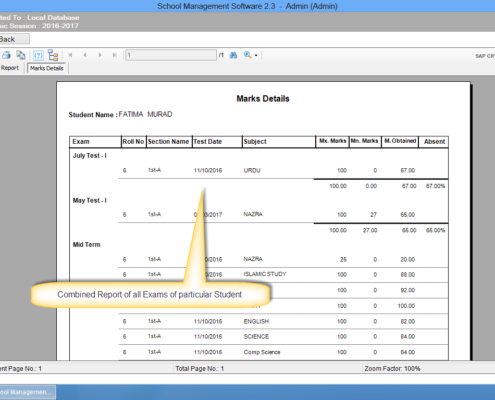 By using schoex you can generate report of any exam for any student in seconds. 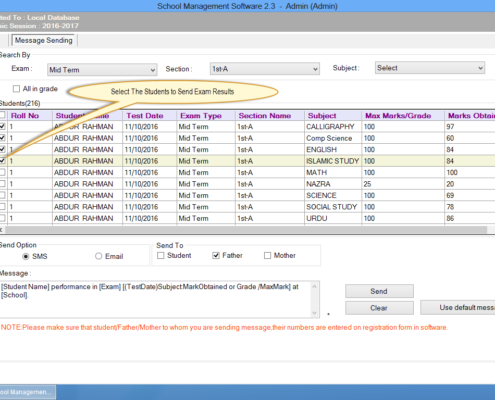 Send student exam results in sms to their parents by single click.